A two day accelerated Grazing BMP workshop took place in Charters Towers last month and was attended by 20 local producers. Covering all five modules of the program in two days, the accelerated format allows producers to complete their self-assessment while also accessing up to date technical information across a range of topics. 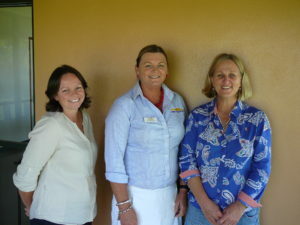 The workshop was jointly organised by the Department of Agriculture and Fisheries (DAF) and NQ Dry Tropics. The workshop provided an opportunity for beef producers to learn about the latest tools available for land condition monitoring and long term ground cover trends for their property. Presentations covered grazing land management and soil health, breeder management, genetic selection and analysing EBV’s when selecting bulls. Other presentations included keeping business records and analysis, Animal Welfare and Workplace Health and Safety. DAF event organiser Jo Gangemi said that there had been plenty of discussion and interaction between participants during the workshop. “These workshops provide opportunities for peer to peer learning so that producers can share their knowledge on a range of topics. Many producers used the workshop to develop action plans for areas in their business they want to improve. “We also ran the accelerated workshop in Alpha a few days earlier. It was also well received with attendees discussing how to put best practice into action in their businesses. Workplace Health and Safety was again identified as an area where work can be done, and the producers who attended were provided with numerous templates and resources to use in developing a WHS program.